Invited for a dinner party? Don't be clueless and turn up empty handed. 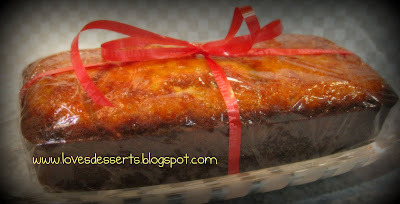 Give the host this banana cake and you'll definitely be included again in the guest list for next year's party!